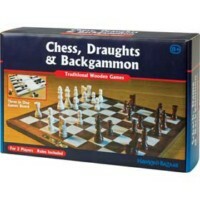 This excellent value set contains everything needed to play the games of chess, draughts and backgammon. 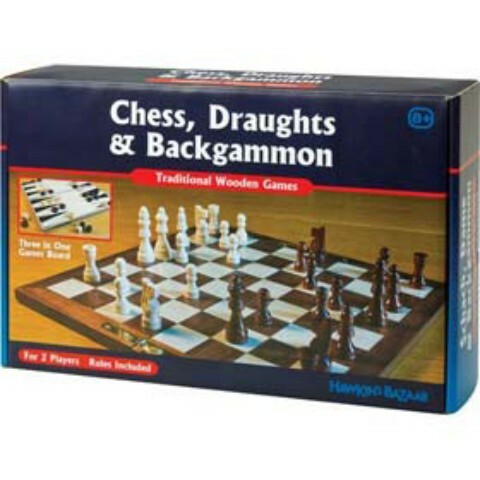 The folding wooden board features a parquetry chequer pattern and two drawstring bags to ensure that the wooden counters and chess pieces can be stored separately. For 2 players. Instructions provided.